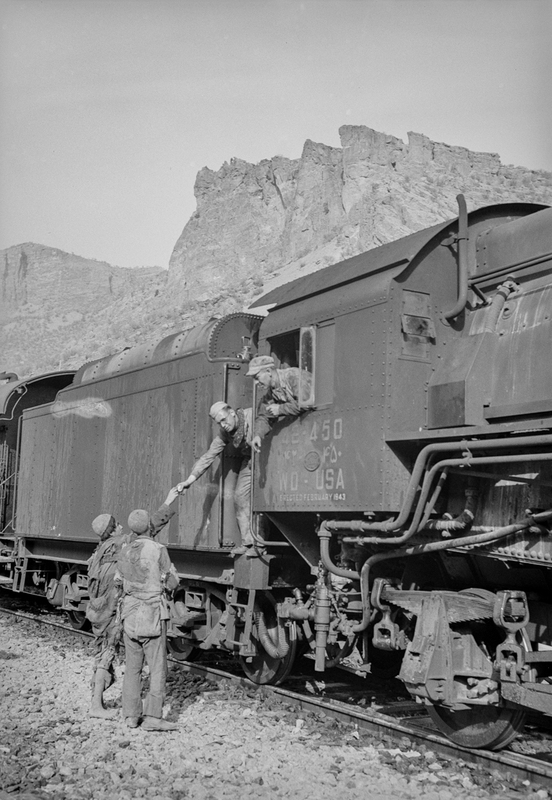 An American locomotive with an American soldier crew hauling freight to Russia somewhere in Iran. I was quite surprised to see world war 2 photographs of the Persian Corridor in the Library of Congress. This was the supply chain set up through Iran by the allies to supply Russia by road and rail. 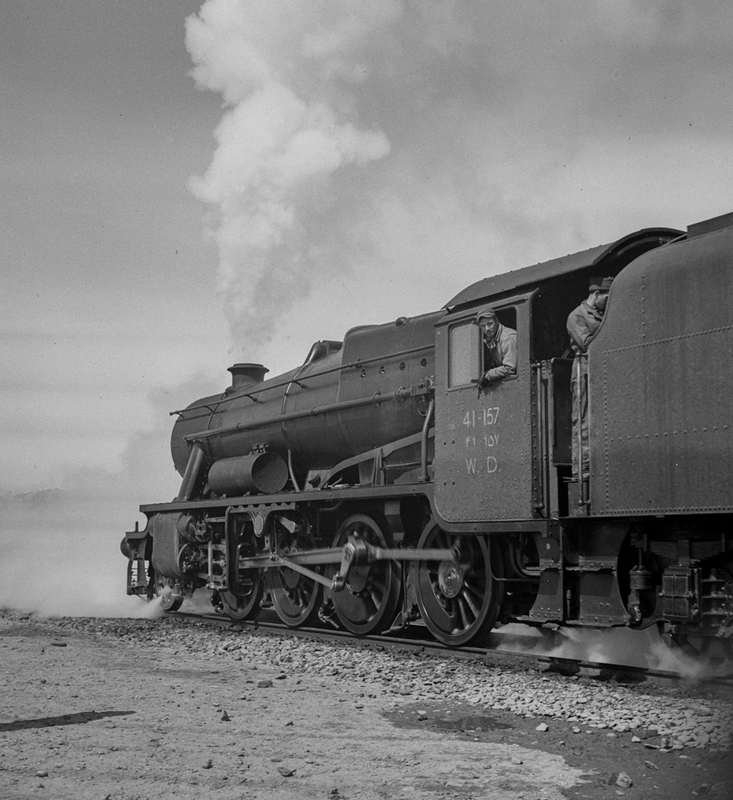 The motive power was primarily diesels, ideal in an oil rich country like Iran, but initially it was steam, including 120 or so British 8F’s. 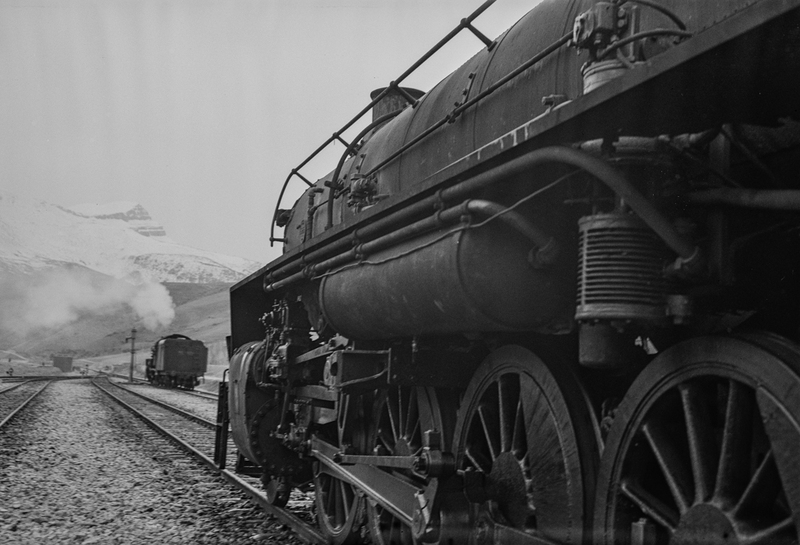 These were later supplanted by American steam and then diesel, but a few are captured here in this barren landscape, so different from the British landscape and the more familiar environs of say, Shap. Somewhere in Iran. 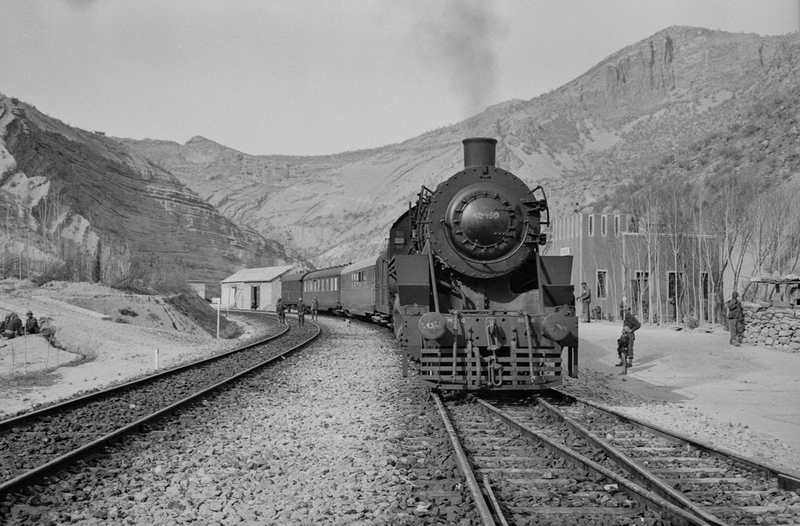 An American engine transporting allied aid for Russia, stopping at a station rimmed by mountains. An American crew in the cab of an American engine are at a stop on the railway passing the time with some Iranian boys somewhere in Iran. An American engine pulling a great load of supplies for Russia along a mountain- rimmed plateau somewhere in Iran. Mountainous route of trains carrying supplies to Russia. 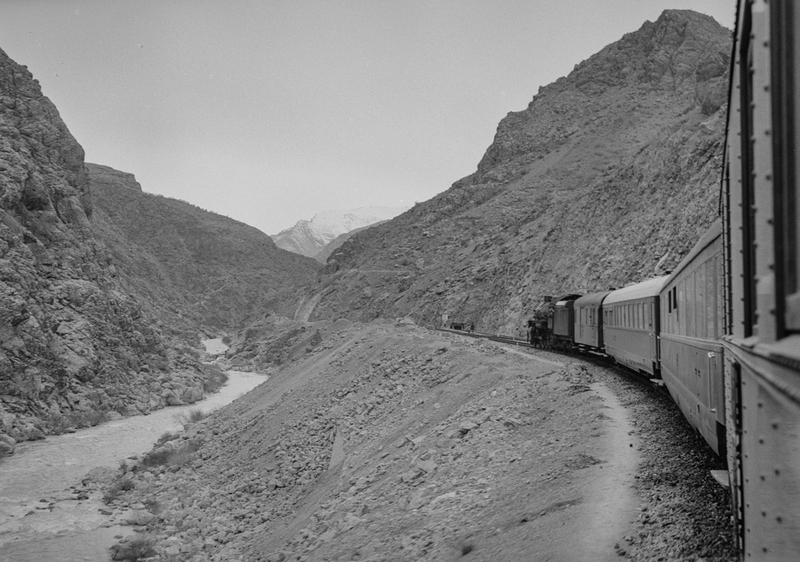 An American engine with an American crew along a gorge through the ever-winding route somewhere in Iran.